Sponsored Video::Win £1000 With Master Moves Mickey! Last month my daughter, Lara, got the chance to show Master Moves Mickey her own cool dance moves! 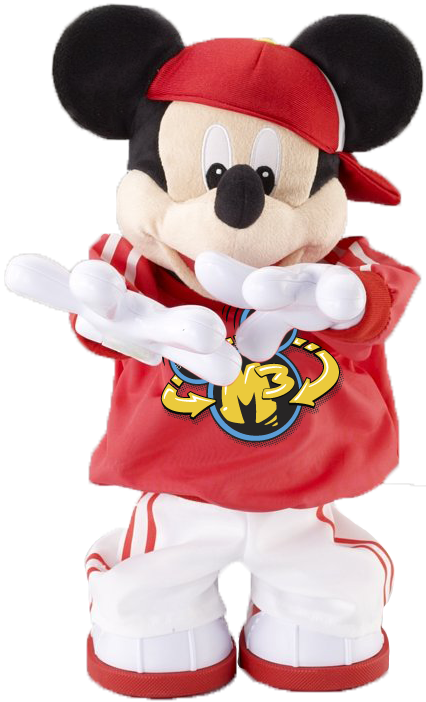 Master Moves Mickey (aka M3) is a phenomenal new breakdancing toy who gets a "wow" or an "awesome" every time a new guest experiences his hippin' and hoppin' dance moves. In fact, he does leave some people gawping when he dances on his hands. Master Moves Mickey by Fisher Price can perform 15 different dance moves (and teach you how to do them!) and has 8 very funky music tracks. He twirls and jiggles, bounces and flips around your house and is suitable for children from 2 years upwards. 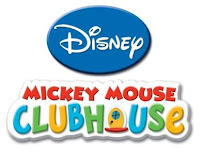 We have a full review of Master Moves Mickey over on Family Tech if you fancy finding out more about him but in the meantime, I have news of a fab new competition to celebrate the launch of the Fisher Price Master Moves Mickey! Can you spot Lara and Holly in this video? Whenever any of us are feeling a bit grumpy, I always lift out Mickey and press his nose to start his actions - there is no way you can remain down when he is bopping around the living room! There is a £1000 cash prize along with a bundle of Mickey Mouse Clubhouse goodies on offer as well as runners up prize of Mickey Mouse and Minnie Mouse toys. To enter, you have to upload a video to youtube of your children bustin' their moves like Mickey and then submit the link to the video on showusyourmoves.co.uk before the 30th of December. All of the accepted entries will be put into a youtube gallery. This post was sponsored by Mattel.